American Airlines exclusive Chicago experience. Experience true Five Star Service through Chicago O’Hare. Let us greet you curbside and help you through security. Relax in our Admirals Club® lounge until your flight departs. And before you take off, we’ll usher you to your gate and assist with pre-boarding. Enjoy Flagship® First Check-In when you arrive. Skip the lines and the crowds. Get the personal attention you desire. Plus, breeze through security with our priority security lanes. Escape inside our private Flagship® Lounge. We’ve created a larger, more premium lounge for you to eat, relax, refresh or get some work done before you board. It's located in Terminal 3 in the crosswalk between gates H6 and K6. 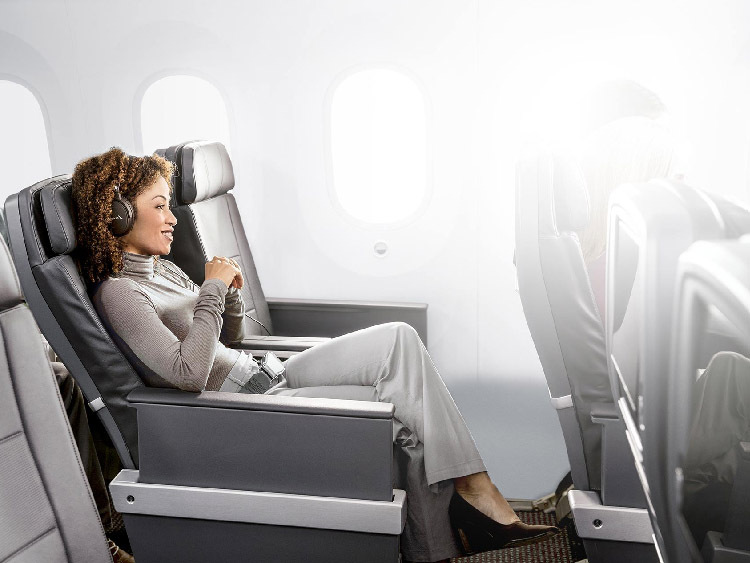 Enjoy this new travel experince with more comfort on select international flights. It features wider seats, Casper pillows and blankets, power ports, chef-inspired meals, larger entertainment screens with free entertainment and more. Go West. Or East. With flights to both Asia and Europe from Chicago O’Hare, reach farther than ever before. Through our partnerships with Japan Airlines, British Airways, Iberia and Finnair, we offer the largest network of any airline, including daily flights to more than 120 destinations. oneworld® alliance. Serving nearly 1,000 destinations in 150 countries. American is proud to be the Official Airline of the Chicago Cubs. We also have a rich history of supporting the city of Chicago and the many great organizations, civic programs and all the people that make this city great. American Airlines, Admirals Club, Flagship, the Flight Symbol logo and the Tail Design are marks of American Airlines, Inc.
oneworld is a registered trademark of oneworld Alliance, LLC. © 2018 American Airlines, Inc. All rights reserved.